The next part of the Rightline Gear Jeep Build involved replacing a major part of the stock vehicle (as if bumpers don’t already count!). For some reason, replacing the factory hood seemed like another level of aftermarket accessory installation all-together. 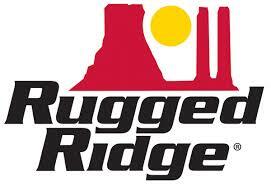 The Performance Vented Hood was provided as part of our sponsorship with Rugged Ridge. 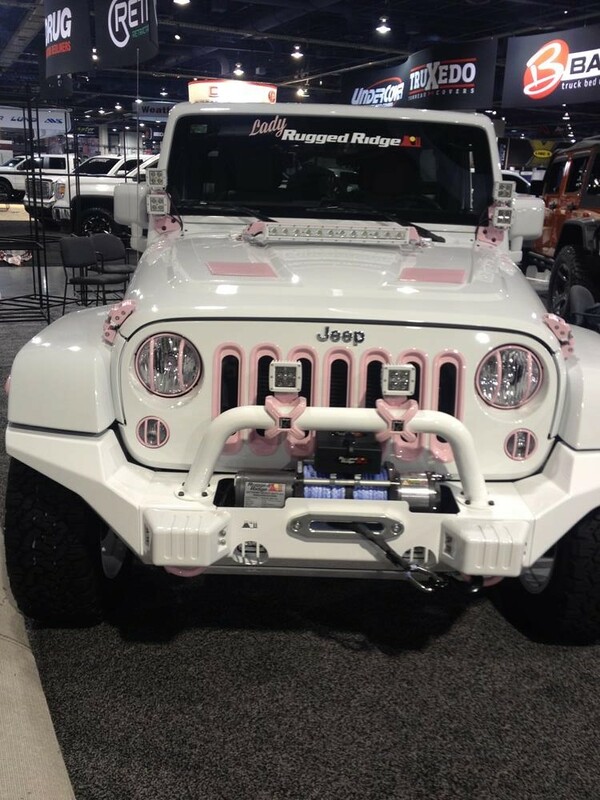 I had been aware of this product from its debut at the 2014 SEMA Show on the Lady Rugged Ridge Jeep. Pretty sharp! 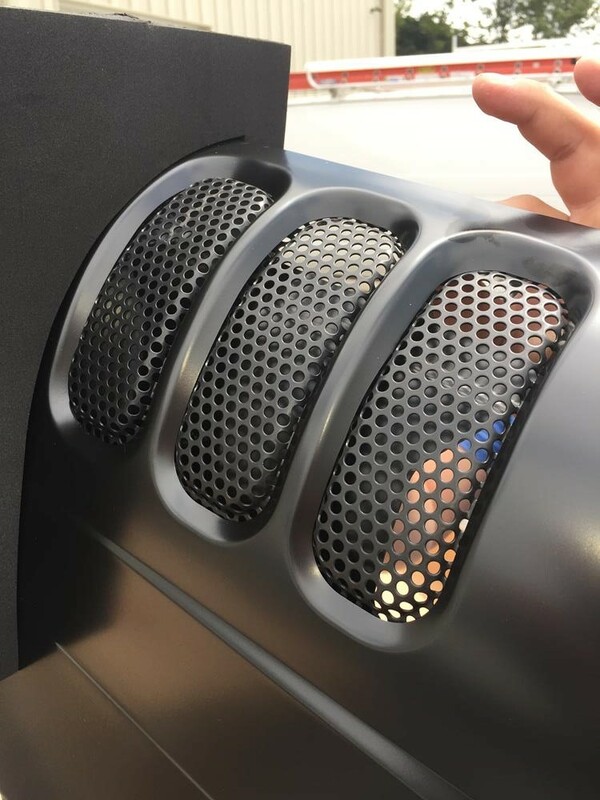 The (4) vent locations help speed the removal of excess heat under the hood, especially prevalent when pushing a Jeep in off-road conditions. I am not sure if the raised portion in the center of the hood helps remove heat, but it sure looks cool. The hood comes in a “hood-sized box” with (4) large foam pieces that suspend the hood and keep it from touching any portion of the cardboard. Although we picked up the hood directly from Rugged Ridge, I would trust this packaging to safely ship anywhere in the country. The hood needs to be painted to match or contrast your factory paint job. First, remove the vents which you can paint yet another contrasting color. We took the hood to Harry’s On The Hill, our local Asheville GMC Dealer, who also has a body shop as part of their operation. We requested that both sides of the hood be painted Billet Metallic (PSC) to match the factory color. 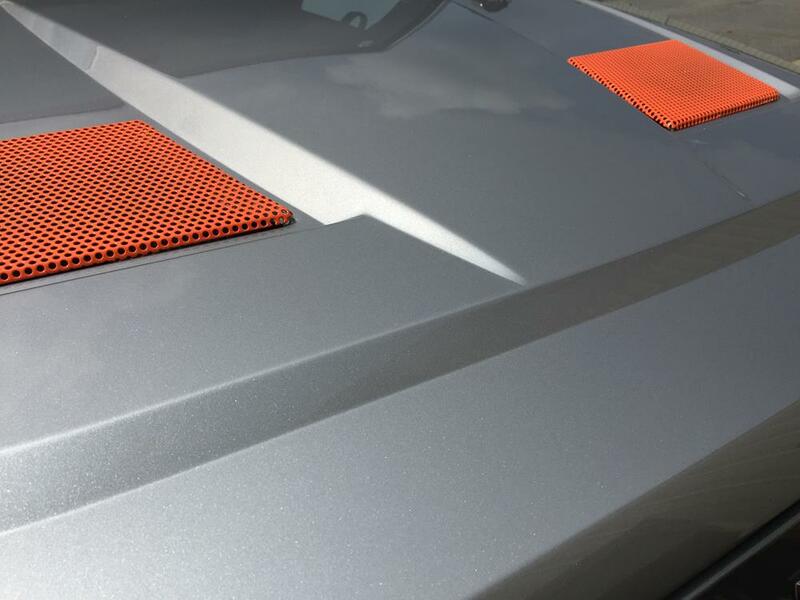 I painted the vents our Rightline Gear Orange in Custom Painting Part 2. 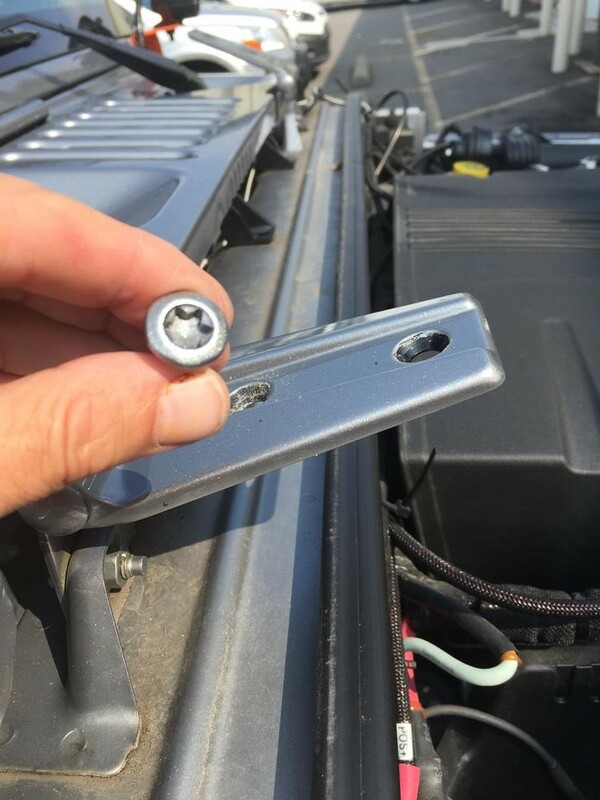 The factory hood removed easily from the Jeep by unscrewing the (4) torx bolts (T50) on the hinges. I placed the new hood in place and refastened the hinge bolts. I transferred the hood latch and spring from the factory hood to the performance hood. The Performance Vented Hood has a cutout for (1) windshield sprayer instead of (2). It is necessary to use (1) of the sprayers from the factory hood. 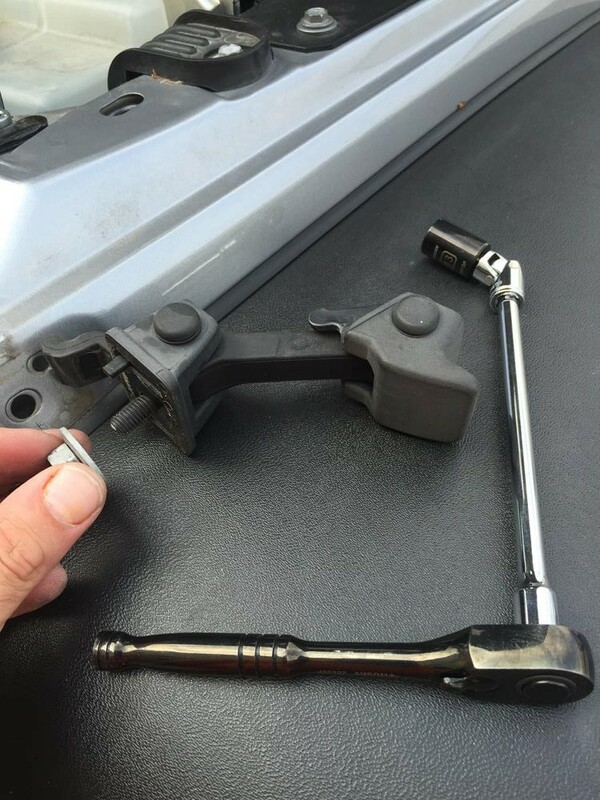 I used the provided hose extension piece to connect the sprayer to the windshield wiper fluid reservoir line. This (1) sprayer worked great in reaching the whole windshield. 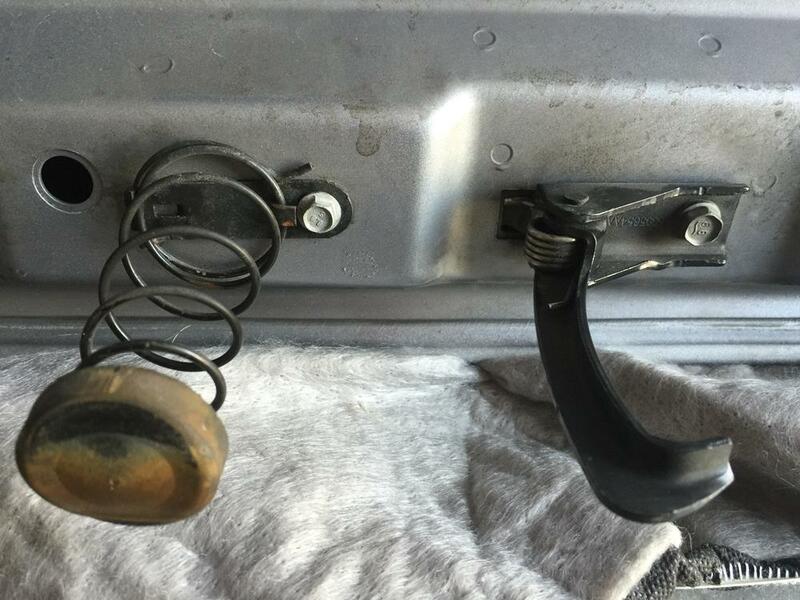 It makes you wonder why the factory Jeep has (2) in the first place? 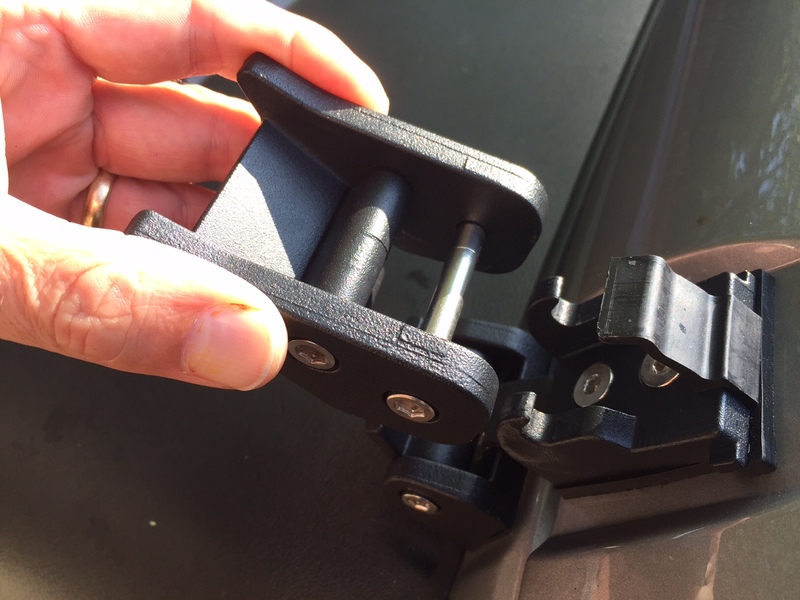 I also received the Rugged Ridge Hood Catches in the textured black finish. 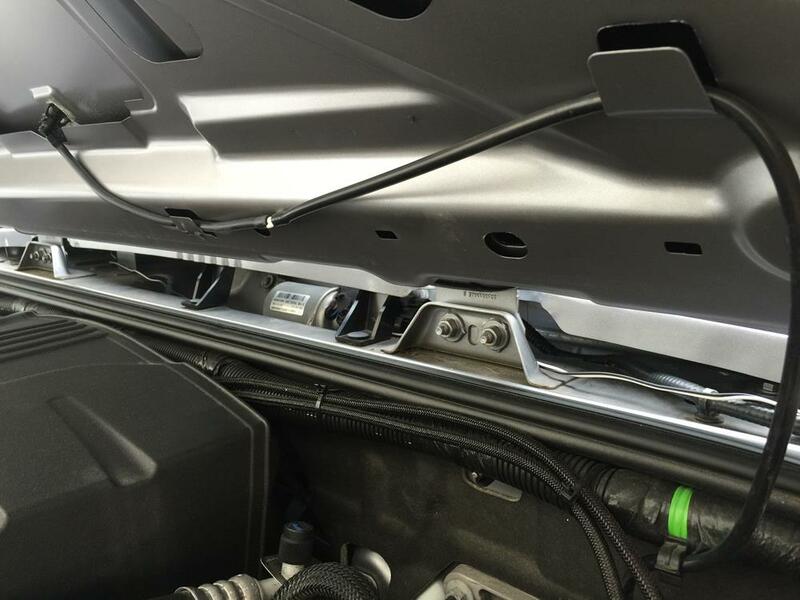 Everyone knows that the stock hood catches are one of the first things to fade out and look extremely old in a relatively short amount of time. I was excited to get the aluminum Hood Catches in place. They simply look massive in comparison to the stock units, truly rugged. It was a little tricky to get the bottom portion of the stock hood catch off of the vehicle. As usual, it just takes the right tool (which I had to go buy!). 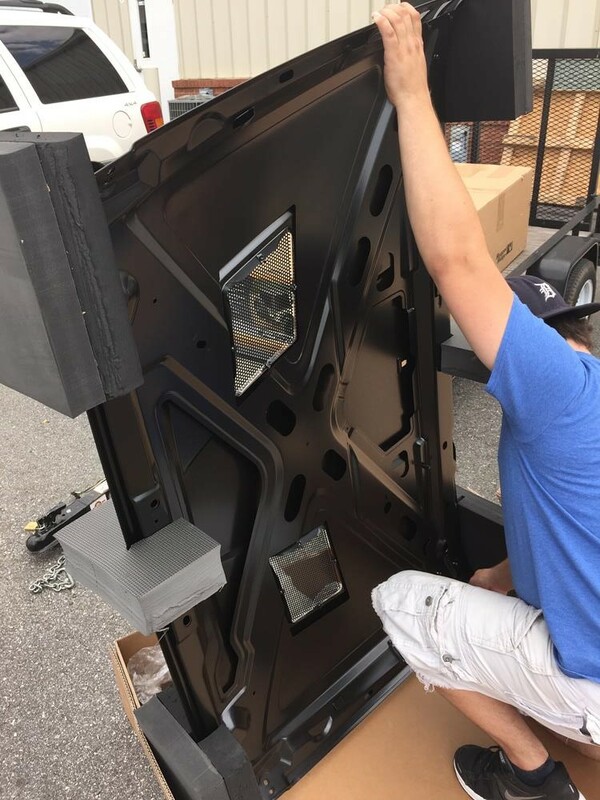 The Rugged Ridge Hood Catches install by first separating the bottom latch into (2) pieces. 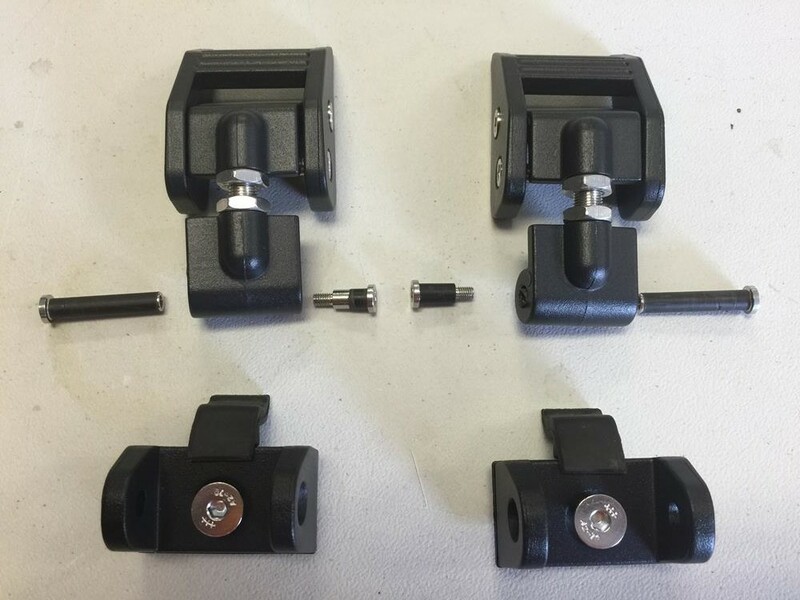 The rubber pieces are taken from the stock hood catches and added to the Rugged Ridge Catches (seen in the photo below on the small pieces). The rubber pieces sit between the hood and the body to cushion the hood and provide the necessary play required to tighten the hood down. I bolted the small pieces in the photo above to the body of the Jeep. I bolted (2) catch pieces onto the hood. Then, I re-bolted the large pieces in the photo above to the small pieces. After loosening the nuts in the middle of the large pieces, I simply shortened or lengthened the bolt until the body catch had the right amount of tightness when going over the hood catch. The accent vent colors and the Hood Catches, not to mention the raised portion in the middle really set the hood off. 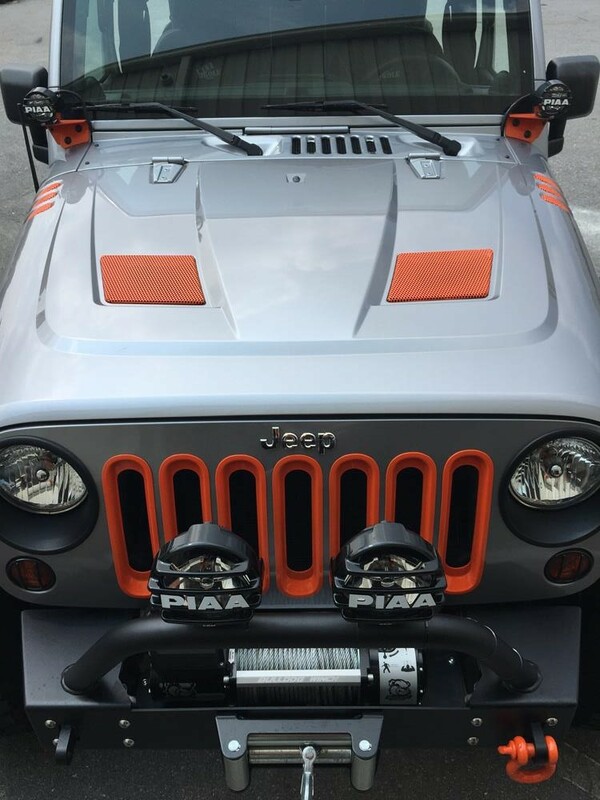 It is always a bonus when something performance oriented can also make the Jeep look so good at the same time. Thank you Rugged Ridge!